Dinosaur handler, the voice of Lego and now a fully-fledged member of the Avengers: Chris Pratt has had a pretty cool career which has seen him skyrocket to the top of the box office. He became the ultimate leading man in the process – muscular, chiselled and a typical alpha male. 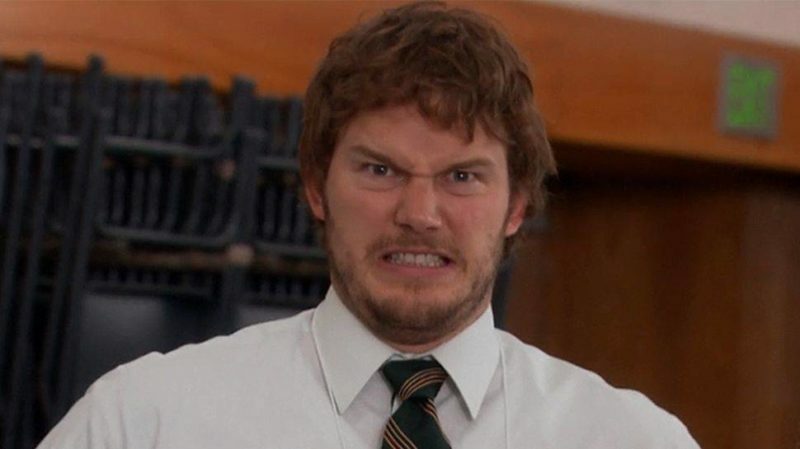 Not bad for Parks and Rec‘s loveable old Andy Dwyer. From the outside, it seems that the Hollywood lifestyle is treating Chris pretty well. But if you delve into his past you’ll soon realise that this A-lister was once a serial yo-yo dieter and stuck in the dark side of celebrity culture that no one really sees, especially with famous men. Chris has spoken about his weight issues openly, talking about the pressure he feels to stay trim in order to bag big Hollywood roles. 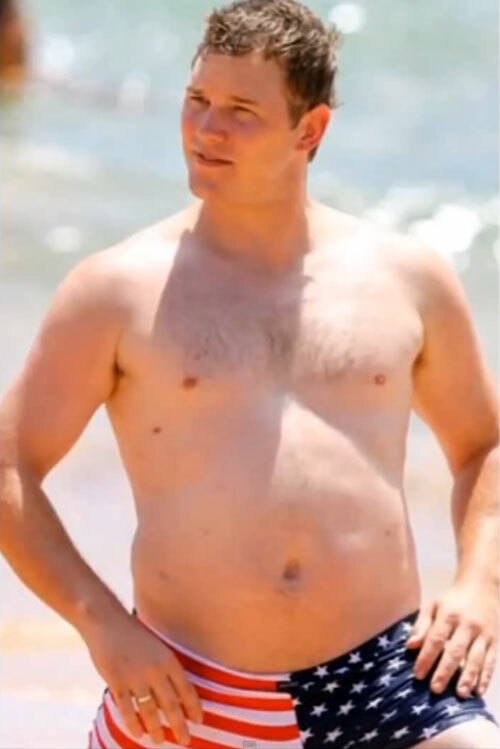 2014 saw him losing 80lbs for his biggest role yet as Peter Quill in Guardians Of The Galaxy, and he’s since managed to keep that weight off. 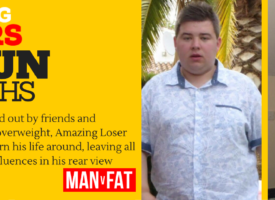 How did he get to the position where he needed to lose weight? Took this photo a year ago. In an interview with Entertainment Weekly in 2014, Chris opens up about the weight issues he battles. 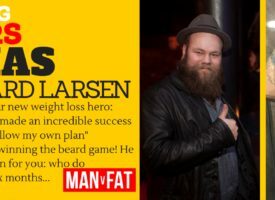 He attributes his first real weight gain to his now ex-wife’s cooking, saying ‘Anna’s [Faris, who you might know from Scary Movie] favourite thing to do is fatten me up. It’s like I’m little Hansel and Gretel out in the woods. I swear she’s gonna push me in an oven one day”. Ah, blaming others – been there, done that. So what made him want to change? He was cast as Andy in NBC sitcom Parks and Recreation in 2009, with his character described as ‘oaf-ish’. 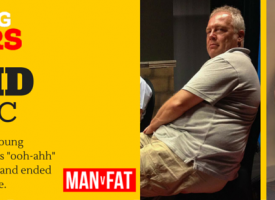 From personal experience, I can tell you that ‘oaf-ish’ is not a word you use to describe a slim man. He played the role well enough to be put forward for the role of Scott Hatteberg in Moneyball, only for director Bennett Miller to tell him he was too fat for the part. So what did he do? He started working out. “I’d check maybe once a week. I’d say, ‘They cast it yet?’ and I would just keep working out. Finally, I got in good enough shape that I took a picture of myself and sent it to my agent”. He won the role. Yep, and it’s quite admirable. But then he did what a lot of actors have done over the years and gained it all back (and more) for his next role as 280lb alcoholic Cully in 2011’s 10 Years. His next role as a Navy SEAL in Zero Dark Thirty meant shedding the weight again but – keep up – he then piled on the pounds again to play Vince Vaughn’s best friend in Delivery Man. Er, you weren’t kidding when you said he was a yo-yo dieter. That’s certainly one way of looking at it. So when did he become a hunk? He was put forward for the role of Peter Quill in Guardians of the Galaxy. But director James Gunn wasn’t convinced. “I kept saying, ‘the chubby guy from Parks and Rec? You’ve got to be kidding'” and Chris himself agreed. 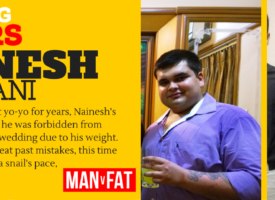 He thought he was ‘too fat to be a superhero’. And then he became a ripped heartthrob seemingly overnight. How did he do it? Chris lost roughly 60lbs in 6 months, which is a lot of weight in such a short timeframe. But once you break it down it does seem a little more manageable – 6 months, or 26 weeks, means that you need to lose 2.3lbs a week on average to match Chris’ total. Which isn’t that crazy when you consider ‘healthy’ weight loss is considered to be at a rate of 2lbs a week. But he’s a celebrity! He has nutritionists and personal trainers waiting on him hand and foot to make sure he achieves those results. Well, yes, but I’ve seen average Joes achieve similar results just through having a solid plan and working really bloody hard. He did P90X, which is a 90-day high-intensity home workout) and he also did a lot of running, swimming and boxing. He even completed a triathlon. 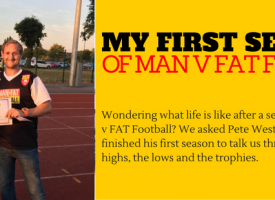 He follows a low-carb, Paleo-style diet, drinking lots of water on a daily basis. “You have to eat protein,” he says. “You can’t have beer, hash browns, burgers, or anything fried. No carbs. And you have to work out five times a week”. Sounds doable. Ish. Did he miss the hash browns? Yes, we think so. He took to Instagram to document his new ultra-healthy diet under the hashtag #whatsmysnack. See below. He was also hit with late night hunger quite a lot, which we can totally relate to. 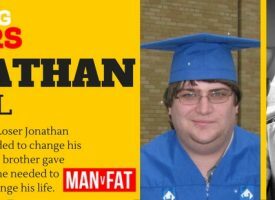 But in the end, he says losing weight gave him a sense of ‘absolute control’, which is a common theme we see in many weight loss stories. How has he maintained his weight loss? According to the man himself, it’s all about balance now. Despite his struggles with yo-yo dieting, he seems to have a pretty healthy outlook. Sounds like good, solid advice to me. Yes, and he’s also said that there’s no ‘Hollywood secret’ to his plan, which means us everyday schmucks can do it too. He says, “Honestly, there’s no trick or secret to it. It’s about getting after it and being patient and consistent. 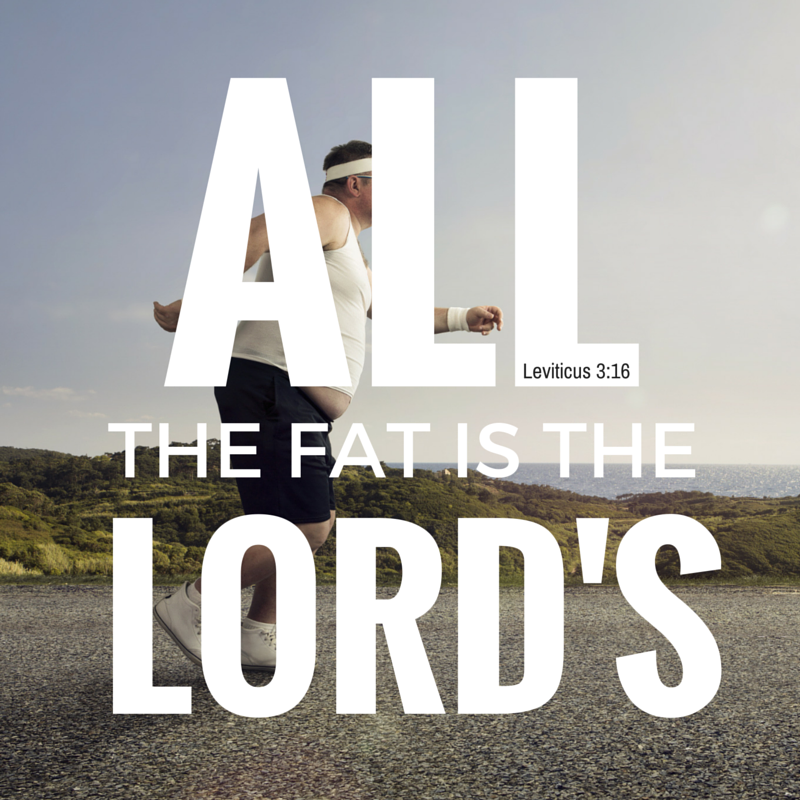 And it’s not about starving yourself, because you want to give your body proper nutrition. And think about who you want to be in six months or eight months or two years’ time, whatever it is. Start now. Eat right and be active. Time moves along at the same speed if you’re working hard or not. For more Amazing Loser stories, check out our veritable treasure trove of motivation here.